When I plug my esplora to a USB port from the toolbar pops "The Last USB device connected to this computer malfunctioned and Windows does not recognize it." When I look at the device manager I see a faulty USB device named "Unknown USB Device (Device Descriptor Failed)" It looks like that the device doesn't respond to standard USB protocol. Removing it or reinstalling drivers does not help. I test it with different computers and OS the result is the same. Linux does not recognize it at all. I connected to the device through ICSP port and get the bootloader from the device to check with the original one found on the internet, it seems exactly the same. What can be the problem? I attached the bootloader output and image from device manager. 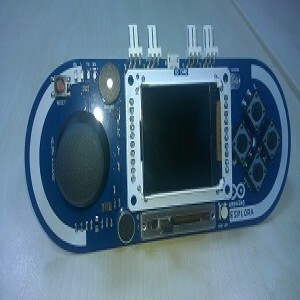 Can someone send me the the full 32 KB dump of working arduino esplora? "Flash Memory 32 KB of which 4 KB used by bootloader". It is in the "EEPROM 1 KB". I do not know how to access the EEPROM and its content.